Jay Lelliott of Sheffield swam a great race to win 400m Freestyle gold on the opening night of the Swim England National Winter Championships. Though he was a mere 0.06 seconds away from the consideration time for the Gold Coast, he took the title with a time of 3:47.85. Second place went to Tim Shuttleworth of Loughborough Uni, who went out strong but couldn’t maintain the pace until the end. He dropped back to a silver medal around halfway mark, and touched in 3:50.25. 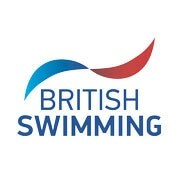 Third place went to another Sheffield swimmer, Samuel Budd, who claimed bronze with a 3:53.12 effort. Nathan Hughes of Hatfield won the 400m Freestyle B Final. It was a close race to the end between Hughes and Birmingham’s Samuel Osbourne. Ultimately, the Hatfield swimmer took the gold medal with 3:58.41. Laura Stephens of Plymouth Leander secured a gold medal in the Women’s 100m Butterfly. The 18-year-old was just 0.14 seconds away from the selection time for the Gold Coast in this event. Though she was beaten to the touch by Canada’s World Junior silver medallist Rebecca Smith, she touched in a PB 58.70 to take the national title. Second place went to Harriet West of Loughborough Uni, who touched in 59.25. The bronze medal went to West’s teammate Rachael Kelly for her 59.26 effort. In the B final, Poole SC’s Jasmine McCrea shaved some time from her previous personal best time. She touched in 1:00.64 to take the win ahead of Kaylee Decker of Mt Kelly and Brearnna Close of Loughborough Uni. Loughborough National Centre swimmer Imogen Clark clinched the Women’s 50m Breaststroke title by a full second. She was up against RTW Monson’s Annabel Guye-Johnson, and Loughborough’s Beth Aitchison in the A final. British champion Clark came nearly a second clear of the field to win in 30.62. It was almost too close to call between second and third, with just 0.01 seconds between them. Guye-Johnson took silver with 31.61, while Aitchison took bronze with 31.62. In the B final Jemimah Berkley, also of RTW Monson, secured the gold medal after another close race. She was just 0.05 seconds ahead, taking the win with 32.56. Stockport Metro and Mt Kelly both fought hard to claim the title in the women’s 4x100m Freestyle relay. Although both teams were quick on the changeover, it was Stockport who showed the most consistency in lap times. The quartet of Elizabeth Harris, Madeleine Crompton, Katie Matts and Holly Hibbott swam a collective 3:50.45 for gold. Mt Kelly were not far behind in second. Emily Haimes, Athena Clayson, Kaylee Dekker and Georgina Dennis touched in 3:51.27 for silver. Bronze went to Polly Holden, Freya Colbert, Molly Wright and Annie Pearson of Nova Centurion with 3:57.99. Click here to see full results from the Swim England National Winter Championships 2017.